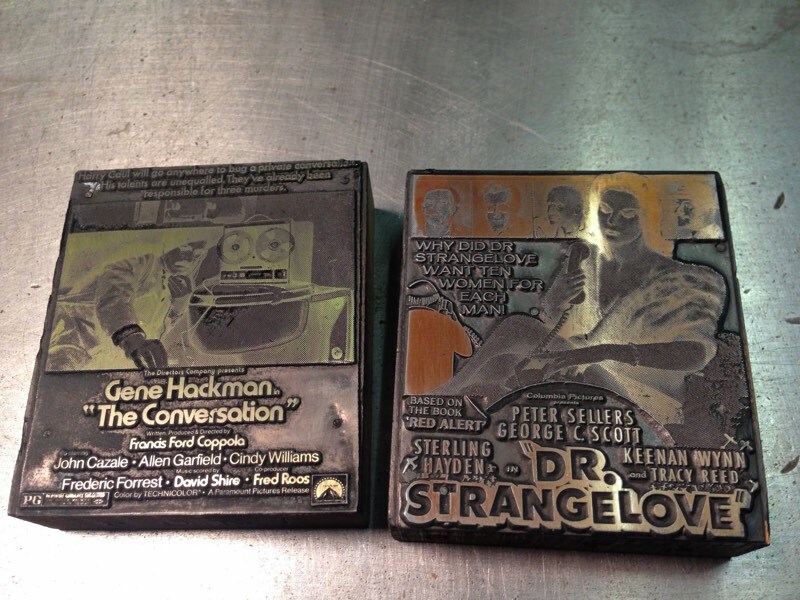 In 1999, two friends went into a Nebraska antique shop and found a massive collection of letterpress blocks and plates that were used to make advertisements for movies in newspapers. They bought the whole shebang for $2000 and have spent the last 17 years cataloging and cleaning the 60,000 plates & blocks (here is just a partial inventory). The collection, which spans nearly the entire history of the film industry from the silent era to 1984, was recently appraised at ~$10 million and is available for acquisition. The short film embedded above is a must-see for design/movie nerds…my jaw hit the floor when these pristine posters for movies that were 50, 60, 70 years old started rolling off of the letterpress. I mean, look at this stuff! Det er en ret fantastisk samling af trykplader til filmplakater - og den er til salg! Tak for tippet om filmen. Lyder som et fantastisk fund!